With so many lawn care companies in Rockland and Bergen Counties, why should you put your trust in Helmke Industries? It all starts with our experience. We’ve provided lawn and landscaping services to communities like Nyack, Palisades, Orangeburg, Pearl River and New City for three decades. During that time, we’ve developed best practices on how to manage the maintenance of residential exterior spaces. Doing things like sharpening our mowing blades regularly and investing in the most updated equipment makes a big difference in the health and appearance of your lawn and landscape. We’re a true full-service operation with the resources to handle all aspects of lawn care maintenance. Every property has unique needs. We will develop a program that includes the lawn care services that you need along with evaluation of your ongoing maintenance needs so that we can be proactive and attentive in serving you. We know that the responsibilities of today’s property managers are great. With security, budgeting and demanding tenants, time management becomes a major focus. We can help to make your property maintenance worry free and budget friendly. We know you’re busy, and our clients know they can depend on us. Helmke Industries will maintain all aspects of your exterior maintenance and provide you with a reporting system that will keep you up to date on the condition of your property. We will monitor the health of your landscape, as well as, offer you ideas on how to enhance your overall landscape for the long term. Helmke Industries specializes in maintaining office parks, homeowner associations, corporate campuses, retail spaces, industrial parks, and hospitality. Helmke Industries offers a proven track record of creative, quality landscape design and maintenance. We understand your home or property is your biggest investment. Before you decide on a contractor for your home, make an appointment with us at your property. We think you will be happy you did. We have earned the reputation of being the market leader in residential and commercial landscaping. This is largely due to our dedication to reliability, customer service, experience and results. When it comes to lawn maintenance and lawn care, consistency is important. Your lawn and landscape will benefit a great deal from regular, consistent service. That’s good for your piece of mind too, and that’s what you will get when you hire Helmke Industries. With Helmke Industries, you get a company that is responsive to you. Our maintenance organization allows us to do that. We are a team of professionals who have high expectations and expect quality. HI will work with you to meet your goals. Our team and maintenance managers understand that good communication within the company results in a better product for the customer. The difference between ordinary and extraordinary is “that little extra”. Our extensive knowledge in the area of growing grass and a healthy lawn, combined with our knowledge of plants and local soil conditions are essential for you to get the result you want for your property. Our clients have been coming back to us year after year for 30 years. On an average year, Helmke Industries has 200 happy residential clients and 50 satisfied corporate clients. We welcome you to ask us for a list of references so you can speak to some of them. You can expect a consistent image for your property – an image that reflects quality and professionalism. We will strive to meet your objectives as well as those of your property managers, asset managers, and owners. The result will be an exterior environment that is pleasing to tenants and will maximize the investment of clients. With John Helmke as your trusted partner, you’ll have confidence that all your landscape maintenance needs are being met. We monitor the long-term health of your landscape, focusing on cost effective solutions to protect and enhance your investment. We go above and beyond to provide much more in service and value. 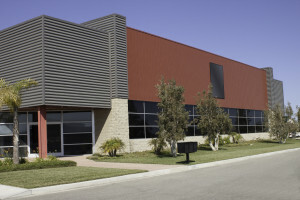 Regional connections and resources help assure that we can provide the best products at competitive prices. In business, having the right image is an essential ingredient for success. HI can help your property achieve the positive image you’re looking for. Beyond creating a professional atmosphere, our comprehensive landscaping services can help you save on property management costs. You can rely on our expertise to create a well-maintained, cohesive look on everything—from established properties to brand new construction. A landscape maintenance plan from HI will help preserve and enhance your property’s value. We can tailor your surroundings to create a corporate image that will help attract prospective tenants as well as increase employee productivity. 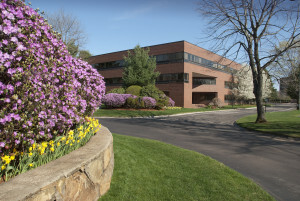 Whether you’re a corporate campus or a traditional office park, the benefits are the same—well-manicured turf, colorful displays, and enhanced signage make for a welcoming business environment.